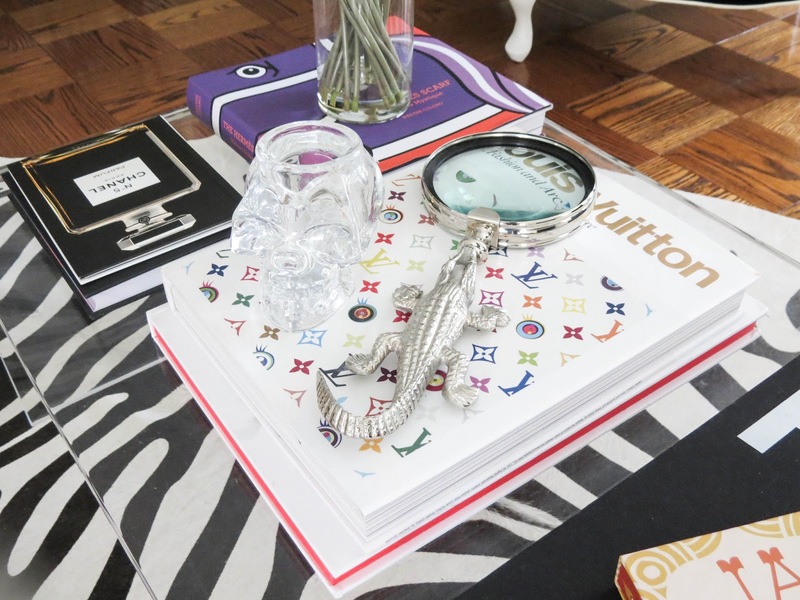 Coffee table purchased here Hermes book of scarves here , Chanel book was a vintage score I found at a thrift shop, Louis Vuitton book here , Glass skull votive holder from Home Goods, Alligator Magnify glass Home Goods, Tom Ford book here , Jonathan Adler match box a house warming gift over a year ago. 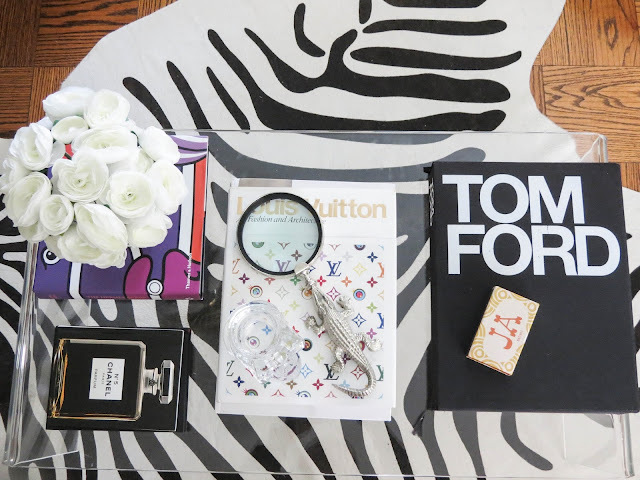 Coffee table styling is all very personal, depending on your style likes and color scheme you can pick pretty things to make your space more "you". 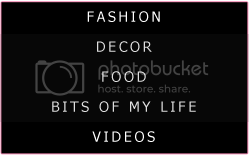 Many things you see here I have accumulated over time and every now and then I like to switch things up, keeps things looking fresh. Flowers are always a good idea gives the area a girly, fresh touch. 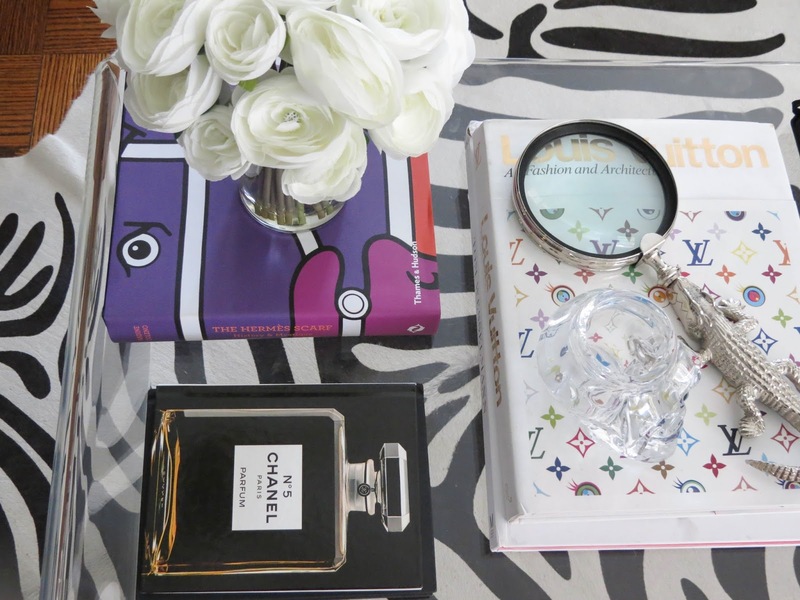 I like to place pretty books on my table that are bright in color. A few favorites include this vintage Chanel book I found at an estate sale. It is also a good idea to throw a candle. Because we are closing in on September and Halloween is near, I choose to put my glass skull head to add a little edge; however, I like him so much he might just get to stay after Halloween is over. Lastly, are matches and my magnify mirror. 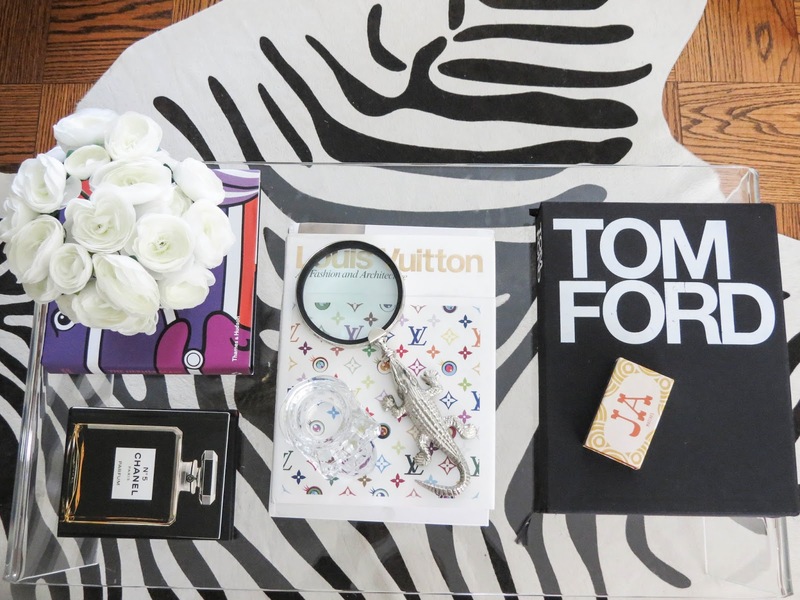 These are both little touches to give my coffee table more of a personal touch!